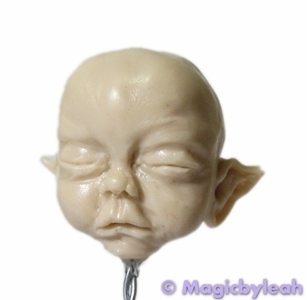 My poor fairy baby was abandoned mid-sculpt. Good thing she had no eyes or she’s start crying at her reflection in the mirror. 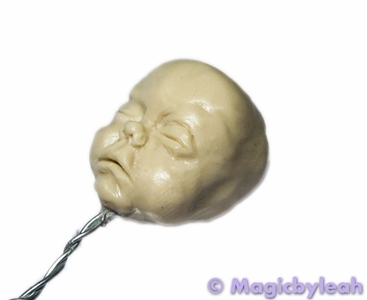 If you missed the formation of the armature and head return to Part 1 – Sculpting Baby Head. 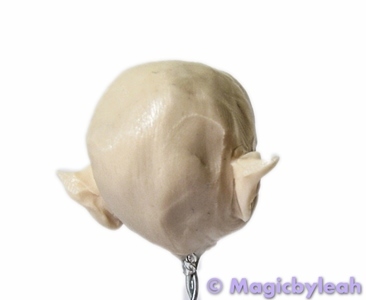 Remember my error of mixing too much liquid clay? 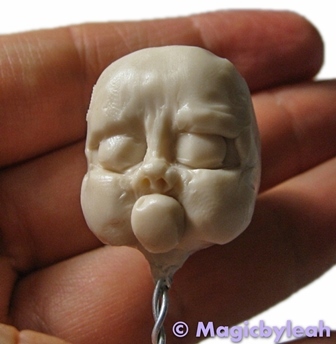 This worked out quite nicely as the clay is still soft enough for me to pick up and continue sculpting from where I left off. 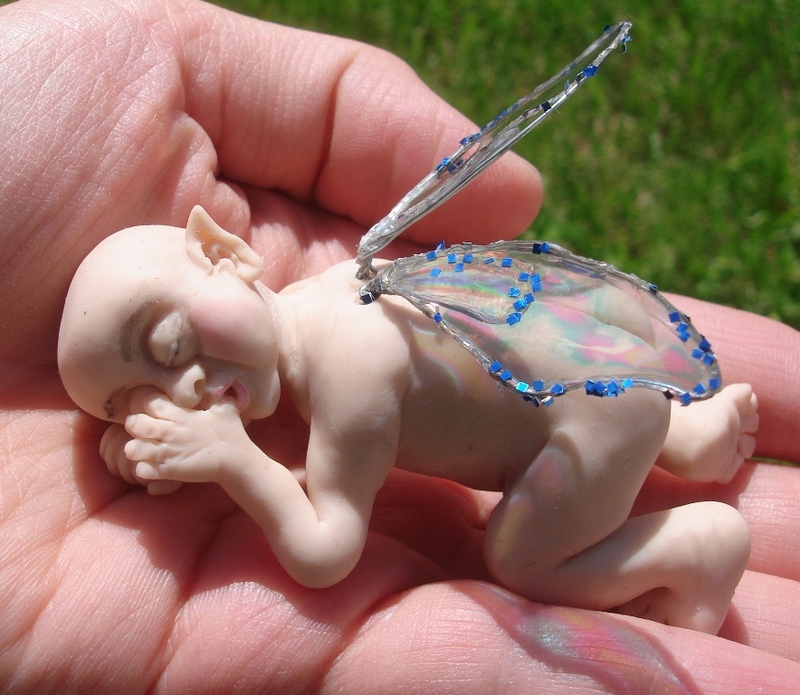 With the basic features in place, it’s time to take my fairy from ‘scary looking monster’ to ‘cute and innocent magical baby’. While extremely difficult in previous sculptures, this process was quite exciting (though very tedious) given the extra-soft clay. 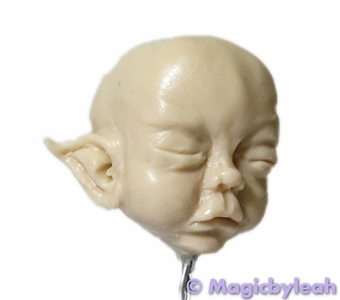 Using a combination of needle, paintbrush, and rubber-tipped sculpting tools, I softened and refined the eyes, mouth, and nose. 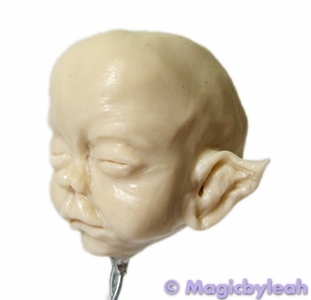 I’ve never really focused on ears for my past sculptures. I simply popped on a clay triangle and called it a day. 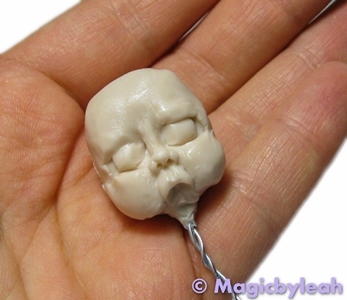 This time I studied numerous photos of real baby ears and artistic fairy ears that I found on Google. 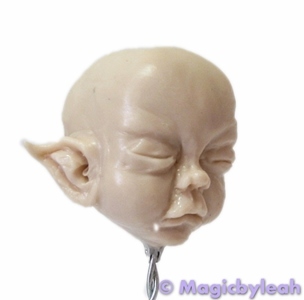 I chose to place the ears slightly lower on the face because I like the magical effect that comes with it. While not perfect, I am very happy with the results of this face. 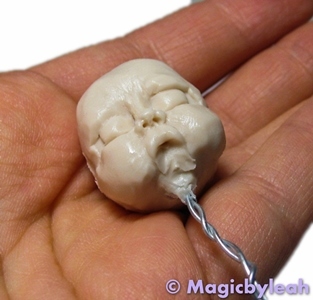 She certainly looks better than any of the past baby sculptures I have attempted. 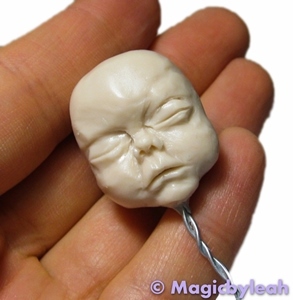 Not only does she look most realistic, she was also the most fun to sculpt. I’m always scared of the baking process. What if I mess up the temperature and the sculpture burns, caves, cracks, breaks… ? 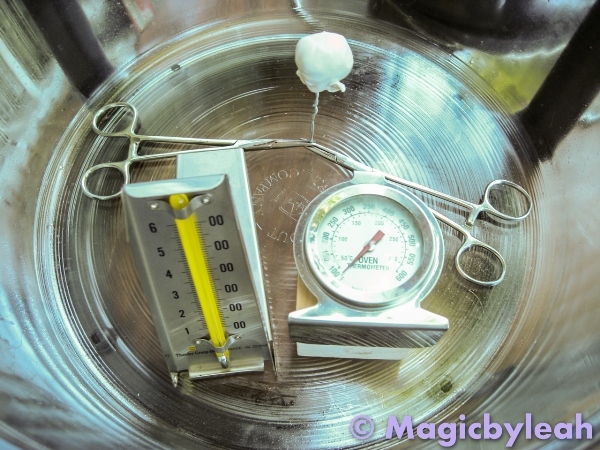 Proper support and temperature control are key to a successful bake. 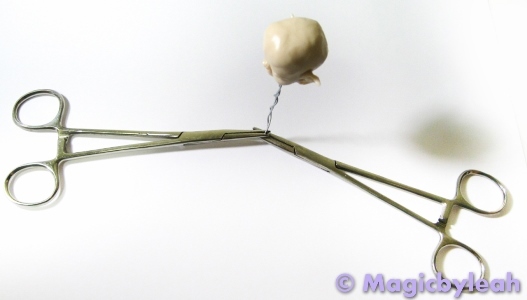 Since the head is on a wire armature I was able to balance it using 2 pairs of forceps. I secured them to the wire at a slight angle to avoid the entire thing tipping over in the oven. And of course I placed my TWO oven thermometers to help me closely monitor the temperature. Once baked I do not open the oven to touch the sculpture for a few hours (usually overnight) to ensure that the clay is allowed to cool slowly and evenly. This helps avoid temperature shock and surprise cracks. Sigh of Relief! no cracks, and she looks so cute. Once the raw ‘shine’ is baked out of the clay, bumps, bruises, and minor flaws are suddenly quite visible. 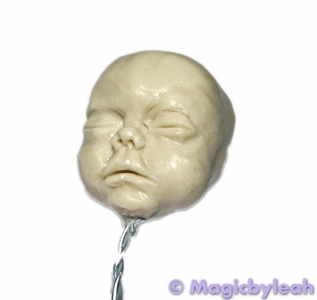 This can be addressed once the sculpture is complete via sanding, buffing, smoothing… all techniques that I have yet to try.